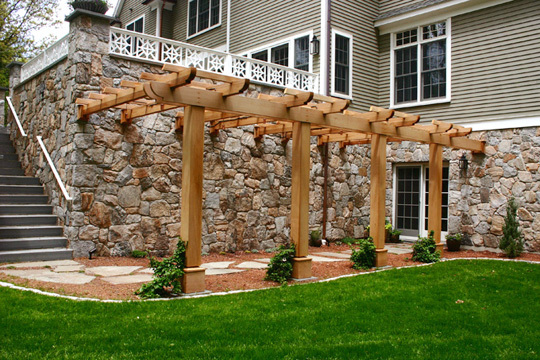 A walkway pergola for wisteria vines was created along this beautiful stonewall. 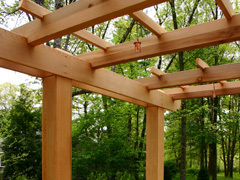 A unique attachment block was designed for the main pergola rafters. 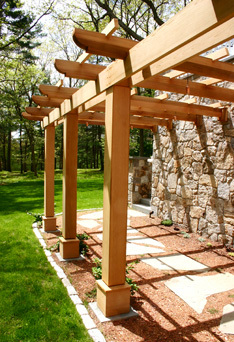 The posts were set upon granite piers and hidden stainless brackets were incorporated for stability.